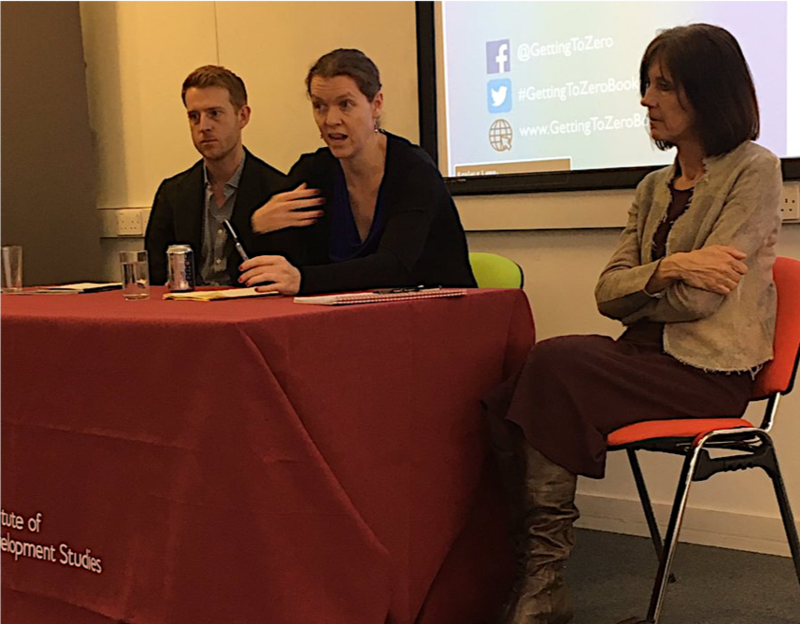 Oliver and Sinead spoke to faculty and students at the London School of Economics & Political Science alongside Laura Sochas from the Department of Social Policy. 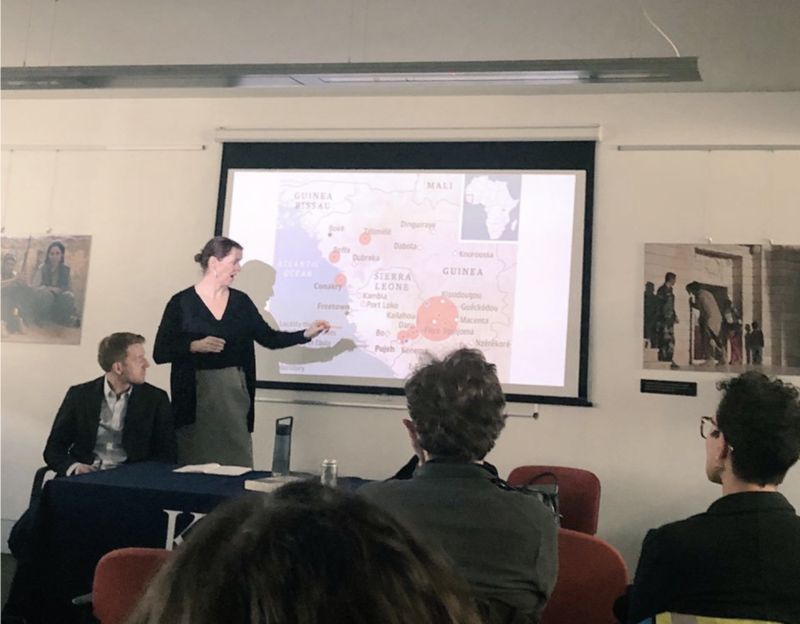 Sinead and Oliver spoke at the the Institute for Development Studies, University of Sussex, at an event chaired by the Director of the IDS, Professor Melissa Leach. 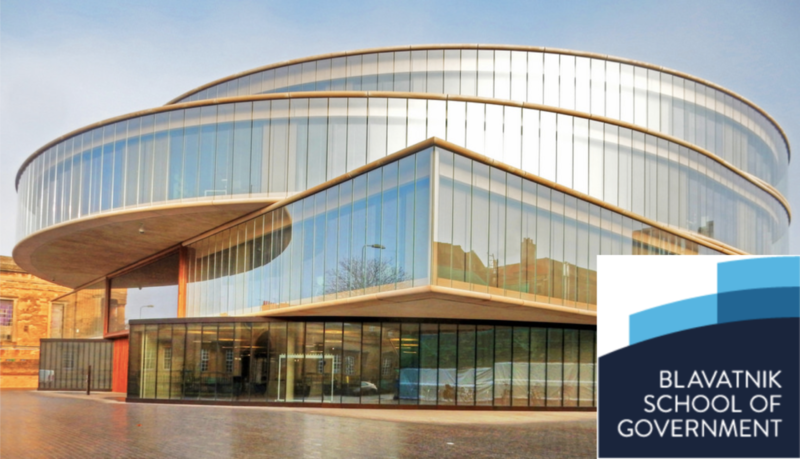 Oliver and Sinead held seminar on Getting To Zero at The George Institute for Global Health in Oxford University. 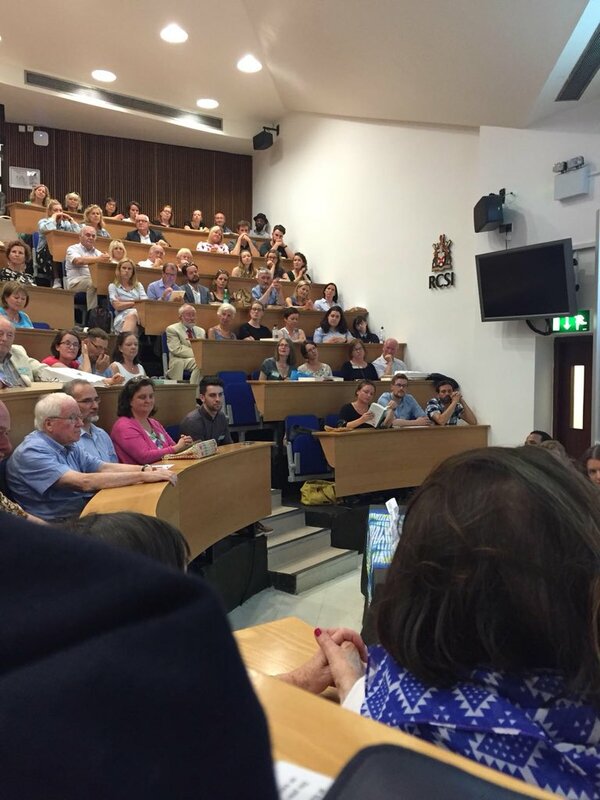 Sinead and Oliver spoke to staff and faculty at the LSHTM at an event chaired by Dr Fred Martineau. 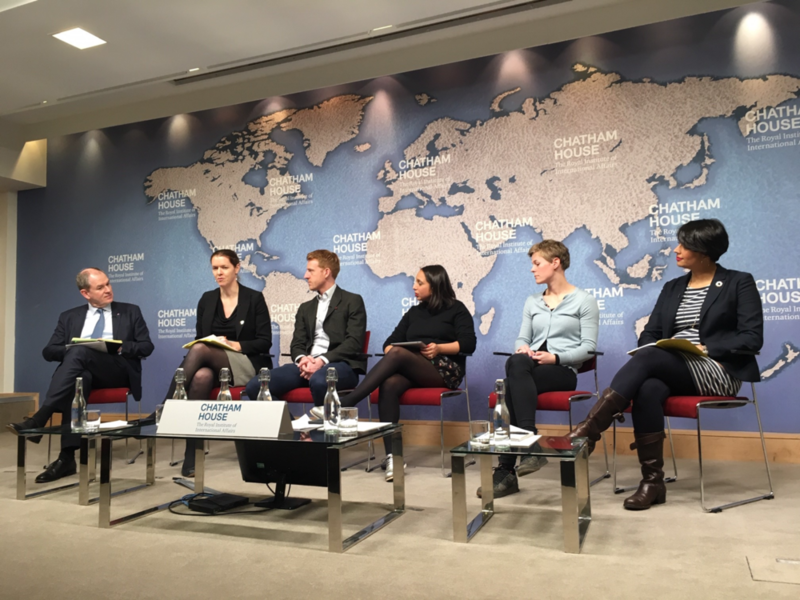 Oliver and Sinead spoke at the Royal Institute of International Affairs at Chatham House alongside Rob Yates from the Centre on Global Health Security, Tulip Mazumdar from the BBC, Dr Kiran Attridge from DFID and Mari Nythun Utheim from MSF. 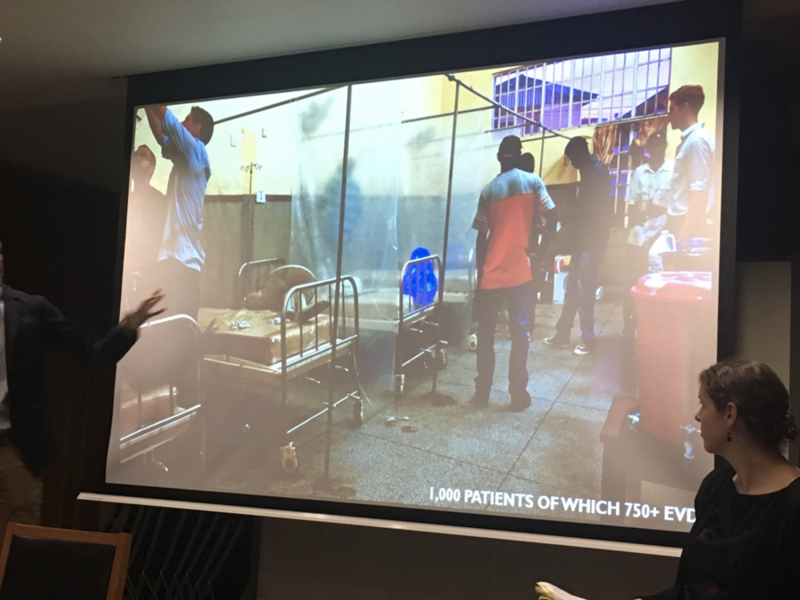 Sinead and Oliver spoke with staff and students from King’s Conflict, Security & Development Research Group and the King’s Global Health Institute at their Strand Campus in London. 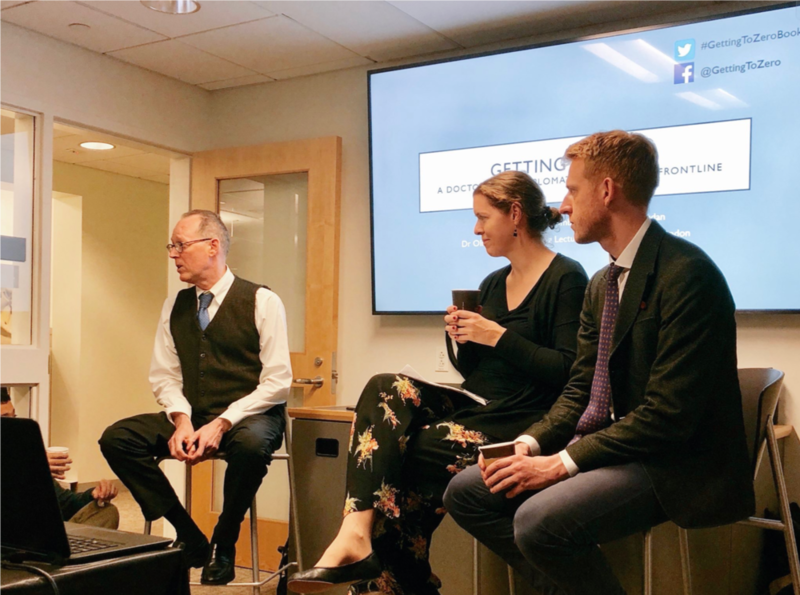 Sinead and Oliver spoke alongside Dr Paul Farmer at Havard University, in an event co-sponsored by the Department of Global Health & Social Medicine and the Harvard Humanitarian Initiative. Sinead and Oliver spoke to faculty and students at the Tufts Fletcher School of International Affairs and Tufts Medical School. 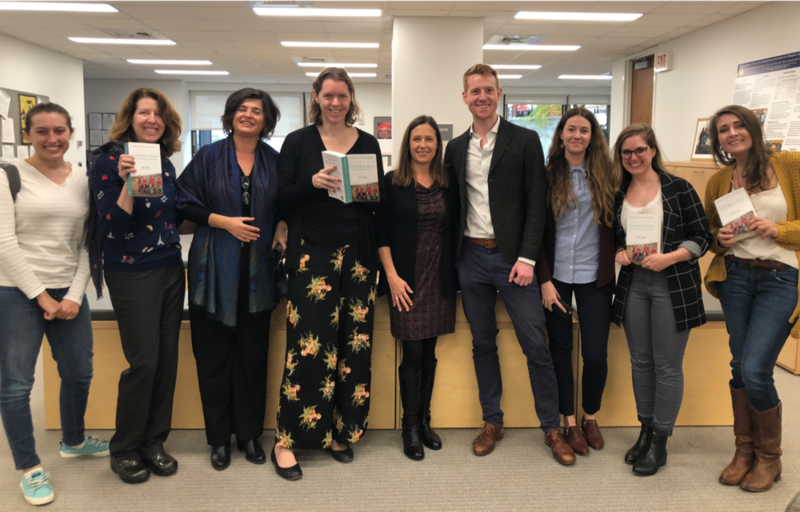 Sinead and Oliver spoke to faculty and students as part of the GRIT seminar series led by Professor Theresa Betancourt, in the Boston College School of Social Work. Sinead and Oliver were joined by Bintou Keita, UN Assistant Secretary-General of Peacekeeping Operations and former Ebola Crisis Manager of the UN Mission for Emergency Ebola Response (UNMEER), Sierra Leone. 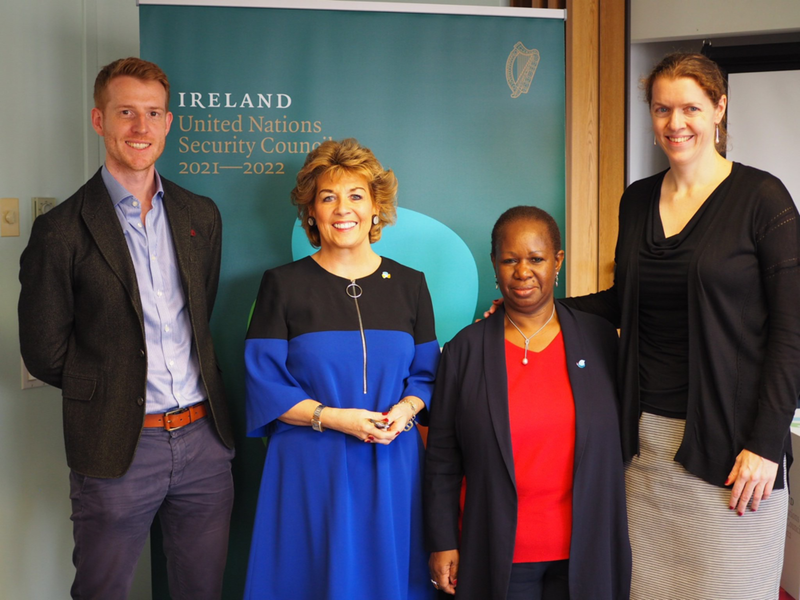 The event was chaired by Ambassador Geraldine Byrne Nason, the Irish Permanent Representative to the United Nations. 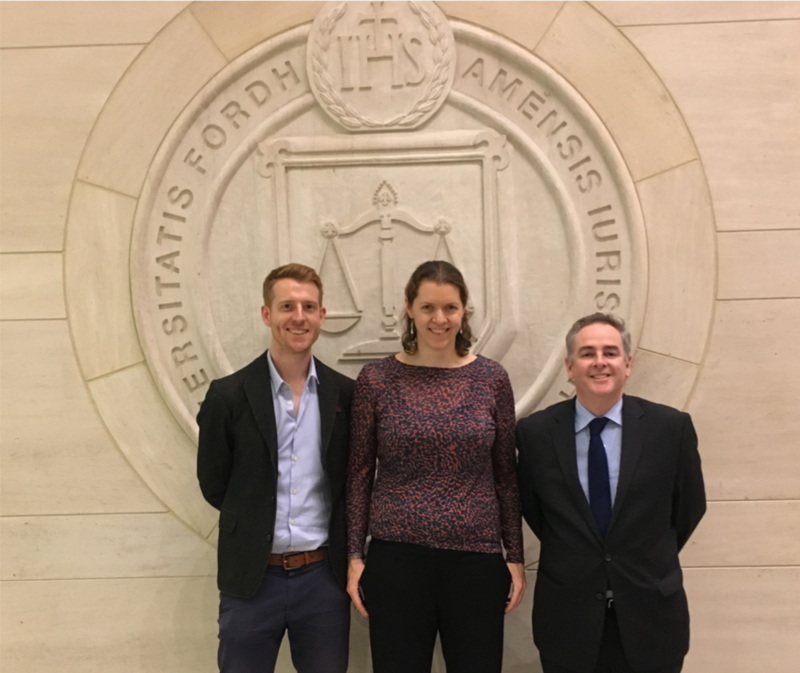 Sinead and Oliver spoke to faculty and students at the Institute of International Humanitarian Affairs at Fordham University in New York. 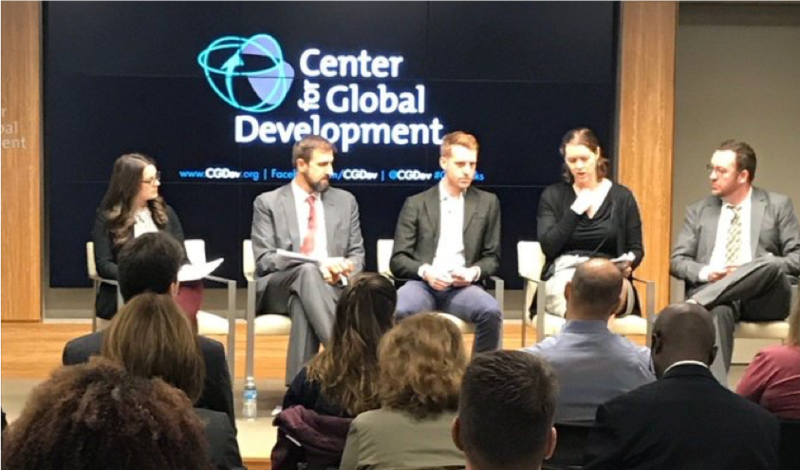 Sinead and Oliver spoke to colleagues at the US State Department including the Deputy-Assistant Secretary for Central Africa and old friends from the Ebola response in Sierra Leone Kathleen FitzGibbon and John Redd. 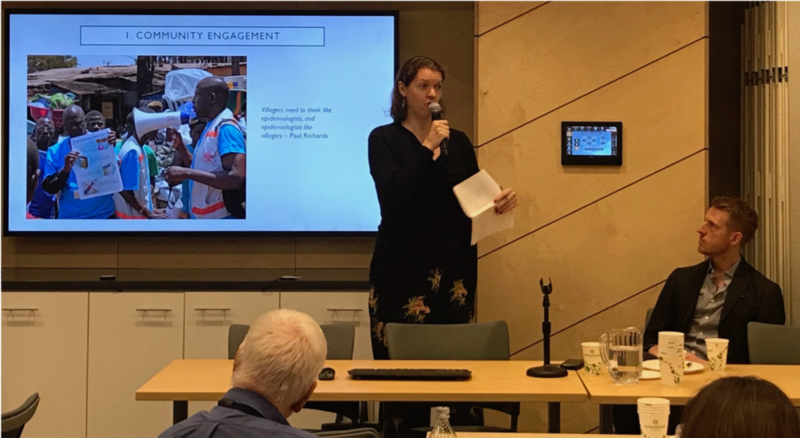 Sinead and Oliver spoke to about forty colleagues at the US Office of Foreign Disaster Assistance about lessons learnt from the West Africa Ebola OUtbreak. Sinead and Oliver spoke to faculty and students at the Centre for Global Health Science and Security at Georgetown University. Sinead spoke to faculty and students at University College Dublin’s School of Politics & International Relations. Oliver spoke to faculty at the School of Public Health of the University of Witswatersrand in Johannesburg, where he was recently appointed an honorary researcher. Sinead spoke at a lunchtime conference with contributions from ECHO, EU’s agency for humanitarian response, and SANTE, the EU’s agency for health and food safety. It was a timely presentation given the recent declaration by WHO about a new Ebola virus disease in Eastern DRC bordering Uganda and Rwanda. Sinead described the often shocking shortcomings of the humanitarian response to the outbreak, both locally and internationally, and drew attention to the immense courage of those aid workers who put their lives on the line every day to contain the disease. The talk included with Sinead presenting a copy of the book to Stefano Manservisi, Director General for International Cooperation and Development. 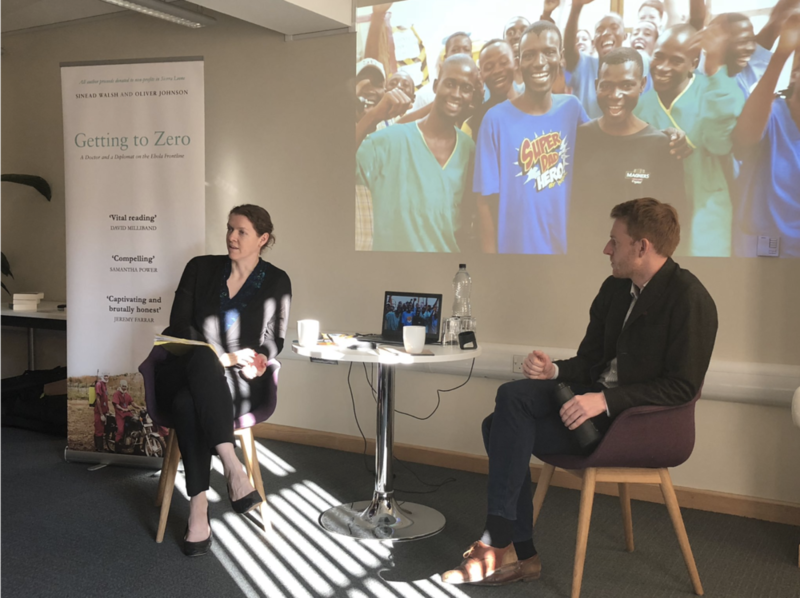 Getting To Zero was launched in Ireland to a fantastic turnout at an event co-hosted by the Sierra Leone Irish Partnership (SLIP) and the Irish Global Health Forum. 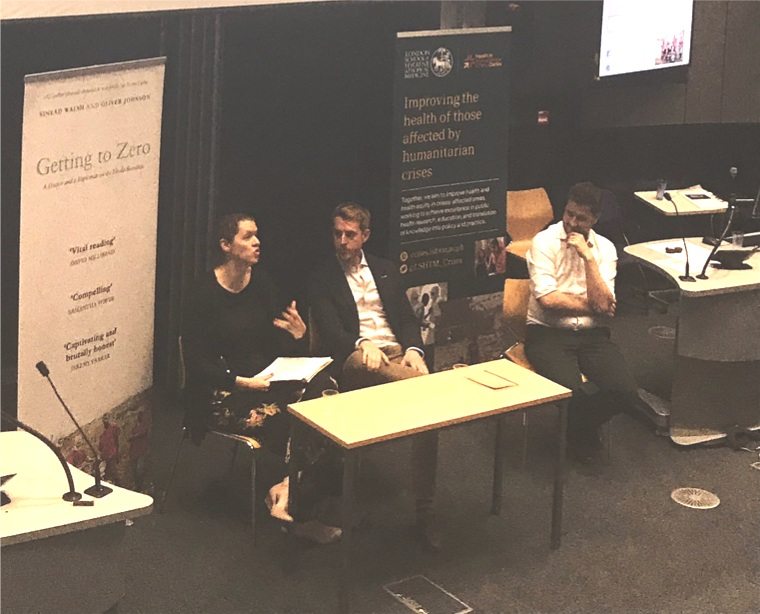 Getting To Zero was launched to a fantastic turnout at an event co-hosted by the Sierra Leone Irish Partnership (SLIP) and the Irish Forum for Global Health. Legendary broadcaster Marian Finucane gave the keynote speech and both she and Kai Matturi of SLIP, who gave closing remarks, appropriately put the book in the context of wider global inequalities. "If you had not had people willing to step forwards, both Sierra Leonean and international, then the risk of spread across the three affected countries, and possibly much further into Africa, would have been very substantial... And from anything that is a disaster, there are things to learn. So a reason why it's good to have any book, and this is a really good book, is that there are things you can learn about it about the things that went right but also the very many things that went wrong. Some of these have been well rehearsed, but very many I think come out much better in this book than anything I have read about the epidemic before." Minister of State for the Diaspora and International Development, Ciarán Cannon, TD, launched Getting to Zero in Iveagh House, the headquarters of Ireland's Department of Foreign Affairs and Trade (DFAT), Sinead's workplace. The Minister spoke of Ireland's long tradition of development work in Africa, firstly through missionaries. He also commended the wide Irish Ebola effort, from DFAT, to the Defence Forces, to NGOs such as Concern and Goal, to individual volunteers.